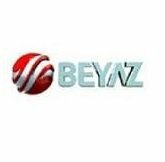 General TV Channel / Beyaz TV national television channel established on May 24, 2010. The channel is the successor of Audio TV. In Beyaz TV, Osman Gökçek, the son of Ankara Metropolitan Mayor Melih Gökçek, is the general coordinator. Former municipal directors and relatives have caused the question of Atilla Kart in the council, but Melih Gökçek has denied the allegations that the channel belonged to his son. Channel, Beyaz Televizyon Radyo Yayıncılığı Sanayi ve Ticaret Anonim Sirketi has received a license to make SD broadcasting in the type of general broadcasting in 2013. Türksat 4A, Filbox, D-Smart, Digiturk, Teledünya, Tivibu and Cable TV can be watched. Programs include series film, debate / politics, sports, music and entertainment, economy, life & food, automobile, health, religion, current, magazine, children, documentary, travel, cinema and news programs. White TV Main News is on weekdays by Ferda Yıldırım and Elçin Açık Özcan on weekends.